A recent proposal by Assam Chief Minister Tarun Gogoi for a separate time zone for the Northeast has rekindled an issue first talked about more than two decades ago. He is joined by 39 members from both the houses of Parliament, cutting across party lines, hoping to put up a united fight to seek a new regional meridian. What has thus far been discussed in the intellectual and academic circles of Assam is slowly gaining political momentum. At the heart of this new demand is internationally acclaimed filmmaker Jahnu Barua. Barua, with a team of researchers, has dug out a dossier of facts hoping to make the Union’s legislature see the disadvantages the region faces because of a unified time zone for the country. With the current setup of 82.5 degrees east of GMT, the states in the eastern elbow of the country lose as much as six hours of daylight when compared to the states in the west. There is close to 31.7 degrees of separation between the eastern and westernmost part of the country, says Barua’s research team. If four minutes separate each degree, the real time difference is close to 126 minutes. The Indian Mean Longitude or the determiner for the Indian Standard Time (IST) is at 82.5 degrees or a difference of 48.4 minutes from the easternmost tip of the country. These states not just lose advantages of an early sunrise in the summer but also prematurely switch on the lights in the evening during winters. In winters, especially in January, a government employee in Assam will have to wait for about 3 hours 50 minutes before the office doors open, but can only work for about 7 hours 45 minutes before the office closes at sunset. A similar person in Kutch will have to wait only for 2 hours 25 minutes before he heads out and will have a good 1 hour 16 minutes of sunlight left after he returns. Daylight hours lost mean a loss of productivity. The Northeast has lost an estimated 25 years and 10 months of productivity because of a standard time zone in the country since Independence and in 100 years this loss could be over 48 years, says Barua. The loss of daylight hours has several repercussions. Apart from loss of productivity, changes in the biological clock and wastage of energy are seen as direct fallouts of this unified time regime. Researchers have come out with several findings on the amount of energy that can be saved from such a move. The Shimla-based National Institute of Advanced Study estimates that if half an hour is added to IST, making it GMT+6.30, as much as two billion units of electricity, especially during peak hours, could be saved. Other researchers have pointed out that creating another time zone for the Northeast could reduce the region’s electricity demand by over 500 MW. International experiences of daylight saving have been mixed. While there have been reports of about one per cent electri city saving in Brazil and California in the US, the actual efficacy is still being debated upon. A single time zone for India is a post-Independence phenomenon. When the British ruled, India had two time zones with a difference of 1 hour 3 minutes—one for Calcutta (GMT+5.54) and the other for Mumbai (GMT+4.41). But these time zones were abolished after Independence bringing the meridian to Allahabad. Tea gardens in Assam, though, continue to function like they used to during the British days, an hour ahead of IST. Beginning the day early means more leaves plucked and sorted. Oil companies followed a similar principle till the 1970s, writes Sanjoy Hazarika in his book Strangers in the Mist, which was revised in 2011. But after these companies switched to IST their productivity fell, he writes. Changing the time zone is, however, not very easy. The Department of Science and Technology of the Union government was the first to reject such an idea. Its high-powered committee set up in 2002 had recommended that the disadvantages of two time zones far outweigh the advantages. The disadvantages included coordination of flight and train timings and communication hassles. But it did suggest changing of work times and institutional timings. Gogoi can begin with this, by setting up an experiment in his own state government offices, and show that an hour early to office can increase productivity. This could, perhaps, help coax national policymakers into seeing the light in his dual time zone proposal. There are a few mistakes in the article. The IST is determined at 82.5 degree longitude not 85.2 as printed. And IST is +5.30 hours ahead of GMT. So, if we add 1 hour to IST it will be +6.30 ahead of GMT. Otherwise it a good article and we have to think forward about 2 or 3 time zones i India, although its a very difficult process and will cost millions. Great information, I strongly support it. I remember when I was posted at Missamari(near Tezpur, Assam) during summer the day use to start(sun rise) well at 0300 hours and our PT/ first period use to be from 0600 hrs. Really those wonderful 3 hours were wasted. Same way the by the time it was 1700 hours it use to be pitch dark. 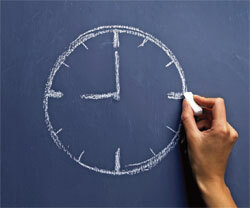 High time government abides to making of two time zones.